Fox has officially announced the medical drama The Resident has been renewed for a second season. The series has been averaging an impressive 10 million viewers per episode, which is up more than 31% over the network’s same primetime time slot in 2017. The Resident season one stars Matt Czuchry (The Good Wife), Bruce Greenwood (The People v. O.J. Simpson: American Crime Story, Mad Men), Manish Dayal (Halt and Catch Fire), Emily VanCamp (Revenge), Moran Atias (24: Legacy), Merrin Dungey (Big Little Lies), Shaunette Renée Wilson (Billions), and Melina Kanakaredes (CSI: NY, Providence). Todd Harthan (Rosewood), Amy Holden Jones (Mystic Pizza, Indecent Proposal), Rob Corn (Grey’s Anatomy), Antoine Fuqua (Southpaw, Training Day), David Boorstein (Level 26: Dark Revelations), Oly Obst (The Mick, Ghosted), and Phillip Noyce (Patriot Games, The Bone Collector) serve as executive producers. Noyce also directed the show’s first episode. 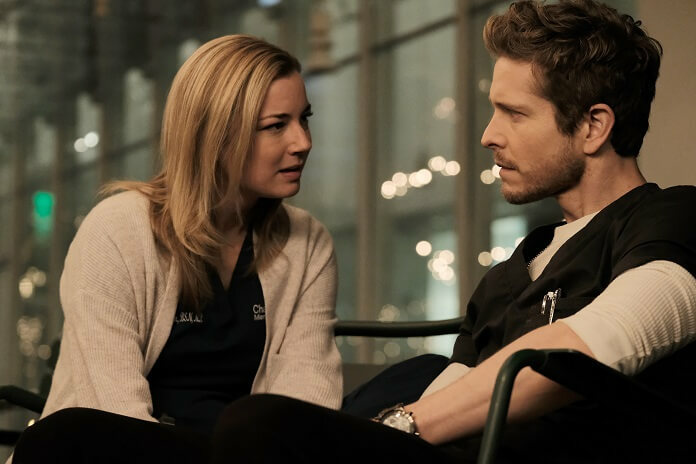 The show’s first season is heading toward the finale, with The Resident season one’s penultimate episode airing on May 7, 2018 at 9pm ET/PT. In the May 7, 2018 episode titled “Run, Doctor, Run,” Conrad (Czuchry) and Devon (Dayal) race against the clock to save the life of a woman who is deteriorating fast from undetermined symptoms. Meanwhile, Bell (Greenwood) must remain calm when Austin (guest star Malcolm-Jamal Warner) impulsively pulls him into a procedure. Then, tensions rise as Nic (VanCamp) continues her search for evidence to incriminate Lane (Kanakaredes), but must simultaneously tend to her sister, Jessie (guest star Julianna Guill), who is rushed into the ER.